**Sweeping and rustically romantic neo-classical and drone flights seemingly dropped from the sky on the wonderful Students Of Decay label** "From the very first seconds of “Within/Without,” listeners familiar with the output of Aquarelle, the nom-de-plume of Madison, WI-based sound artist Ryan Potts, will find themselves in territory that is at once familiar and new. This opening salvo explodes into being with the surging, analog fuzz blooms and preternatural sense of rhythm that endeared many to “Sung in Broken Symmetry,” his prior Students of Decay full-length as well as his sterling contribution to the split LP with Alex Cobb issued via Low Point. Nestled deep within these writhing guitar drones we hear plaintive piano notes being struck and layered sine waves, an early hint of the notable development of the Aquarelle sound that is put forward on “August Undone.” Potts’ compositions are strikingly rich in detail (indeed Ryan disclosed to me that a few of the mixes on this record made use of all 64 tracks on his DAW). However, these are compositions that never become muddy or unfocused, remaining instead truly effervescent, full of nuance and subtlety. “This Is No Monument” recalls the halcyon days of C/Psi/P-era Birchville Cat Motel, with a massive wall of guitar distortion and distant chimes slowly dissolving into cascading chords and radiant, microtonal drones. “Clockless Hours,” the stunning closer, features a welcome appearance by cellist Brandon Wiarda and brings the album to a lovely and apt dénouement. 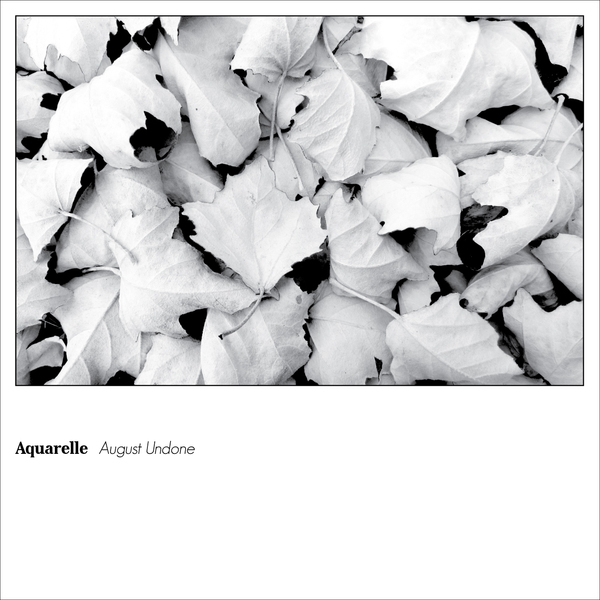 In the end, “August Undone” is a brave step forward by a musician who is never content to rest upon his laurels."